One vision but many teams. It is truly wonderful to see a family working well. It is the same in the King's family; Every person has a different role but we find that we are far better off when we are truly united and in it together. We would love to help you find out how you can play your part in the King's family. As a first step why not take a look at the various teams we have below and then sign up for a no strings attached taster session. I have read and agree to your Privacy Notice (www.kingsnorwich.com/data) which details what we do with your personal data and the legal basis for processing it, how long we keep it for, what rights you have and where to go if you have any queries. If you have any questions please contact us at data@kings-norwich.com. Thank you for requesting to do a taster session! We'll respond as soon as we can. Every area of King's life benefits from the input of gifted and talented administrators who not only organise but enable us as a church to function well. If you love being organised and have a passion for systems then do let us know. The Alpha course is a great way of introducing people to Jesus, as well as presenting a fantastic opportunity for serving such as set up, food prep and serving as well as group hosting. Full training and support is given. Baby & Toddlers is a group for parents/carers and their young children which meets at the King's Centre during the week. We have a range of structured and unstructured play and we're keen to draw in people from Kings who are passionate about helping children and their parents/carers. The coffee shop at the Kings Centre 's open from 8.00am till 3.00pm every weekday and then before City Centre Sunday meetings from 9.00am. We are always on the lookout for people willing to volunteer for a shift or two. We also need volunteers to help with the catering side of conferencing. Creativity is at the heart of who God is. 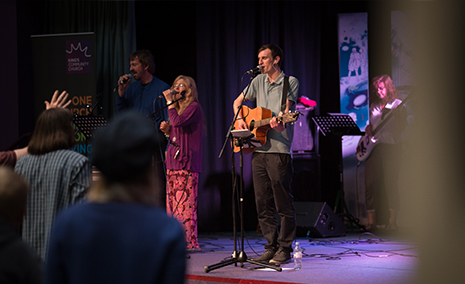 At King’s we want our communications and media to reflect God’s creative excellence and draw people closer to him. If you have creative skills in graphics, design, illustration, fine art, photography, moving image, digital/web then say hello. On Sundays and at all of our various events we love to host people well. This takes people that are able to give a warm welcome, make people feel at home and go the extra mile to making King's a great place for people to be. We have an excellent and diverse team who aim for each child to get to know Jesus and develop an intimate relationship with Him. Whether you love teaching, games, have a passion for prayer and worship or are creative with crafts, we would love you to join one of our teams. Care for the poor has always been a central part of church life – as God intended. That’s why for several years now we have been opening our doors on a Sunday afternoon to those in need. Each week many come along to enjoy a good hot meal, wash their clothes and take a shower. We need members of the church to come and express this hospitality to our guests. King’s Lounge is a luncheon club for retired people, which meets at the King's Centre on Mondays. It’s a special group of people and a special atmosphere together. You could help us prepare the meal, set up the room, or serve the dinners. King’s Money Advice is a completely free debt and money advice service - no matter how big or how small someone’s debt is, and whatever their background and circumstances. We need members of the church to help with both the financial and the personal sides of the work. Want to find out more? 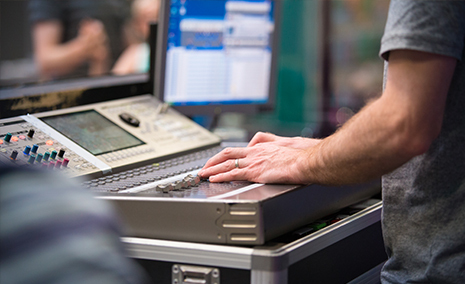 Clear communication is crucial for a growing church. Areas covered include lighting, PA, PowerPoint presentations, song words, video, recording audio, as well as camera work filming the talks on a Sunday. Norwich is a wonderfully vibrant city rich with academic institutions including the University of East Anglia and the Norwich University of Arts. We run a range of different events for students and are always on the look out for people wanting to be a part of that. At King’s we place a high value on our times of corporate worship. The role of musicians and singers goes way beyond just singing or playing instruments in front of the congregation. So if you are new to church, been here a while, or a student and are wondering how to get involved, let us know. We meet on Friday nights to have fun, get to know each other better and find out more about God. On a Sunday morning there is teaching available in all locations for 11–14’s during the preach.